Please come and join us as we settle into our new home! We will be organising ourselves, sorting donations and starting to build relationships with the local community. At the start of this new chapter in our story we need all sorts of skills, organisation, creativity, muscles, practical....we need YOU! Tea, coffee, snacks always available.....now with added ceiling. 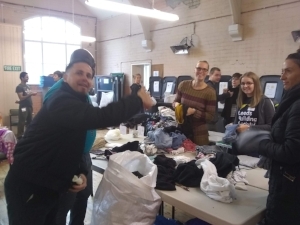 Saturday mini sort and Donation Drop!